I did a charity run yesterday after seeing a flyer in one of the gyms that I use. The first time I’ve actually run an event like this with all the paraphernalia – timing chip for shoe, a number to pin to my shirt etc, etc. 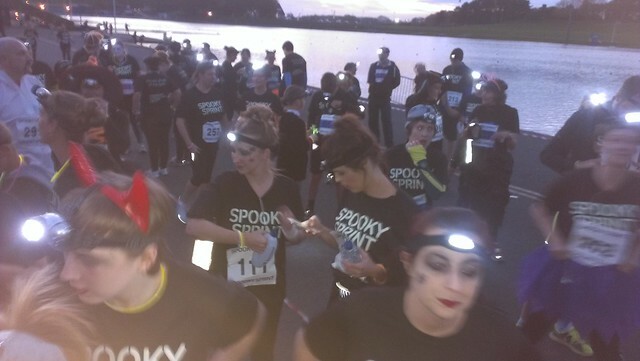 This one was run after dark, so we all were given a head torch as well. 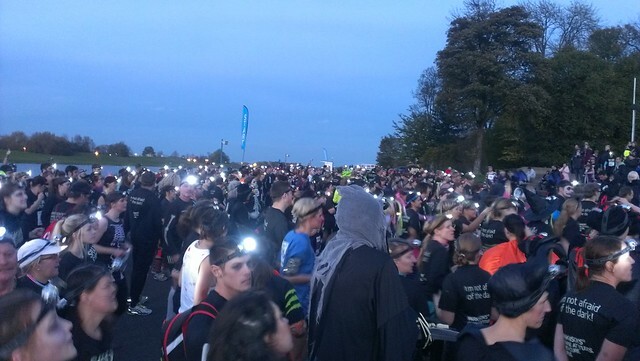 It was quite an impressive event, a rather nice family, halloween atmosphere with lots of runners in costumes. There was a simultaneous 10k and 5k event with the 10k-ers running the same route a second time. It was all the way around the 2k long Holme Pierrepoint boating lake with a slight uphill diversion to get the final kilometer in. 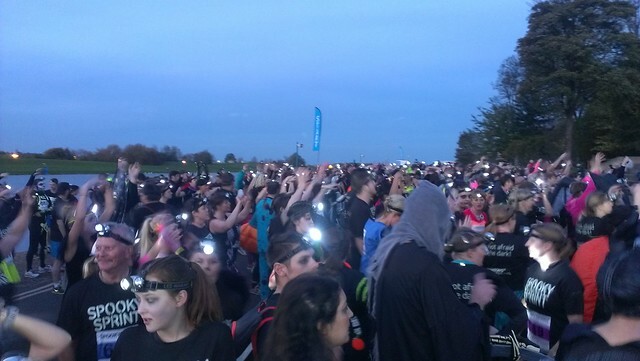 The up-and-back nature of the event meant you could see where other runners were in relation to you – the 10kers set off first and you eventually saw them turn the corner and start running down towards you. When I turned the corner myself there were a few minutes, and before long you could see the 10kers starting their second lap. Certainly an impressive number of people there! There was also a drone filming us as we set off so I will look forward to seeing the footage from that! I’ve never been filmed by a drone before, as far as I am aware. In terms of my targets – my main one is always to see how far along I can get from the start without having to break into a walk, and this time I managed the first kilometer without too much of a struggle but didn’t continue to the second. My final time was a bit of a disappointment and I know I didn’t pace myself correctly as I easily had enough energy for a final sprint the whole of the last 400m. My time according to the chip 41’52”, which is pretty dreadful actually. I had been hoping, and half-heartedly training, to beat my PB in a timed event of 35’52”. But six minutes slower! Oh dear! The results system helpfully adds I came in 223/265 runners and in my age and gender category (“senior” ! erk!) 36/39. No worries, you can still sponsor me on my Just Giving page until 01/02/2015.